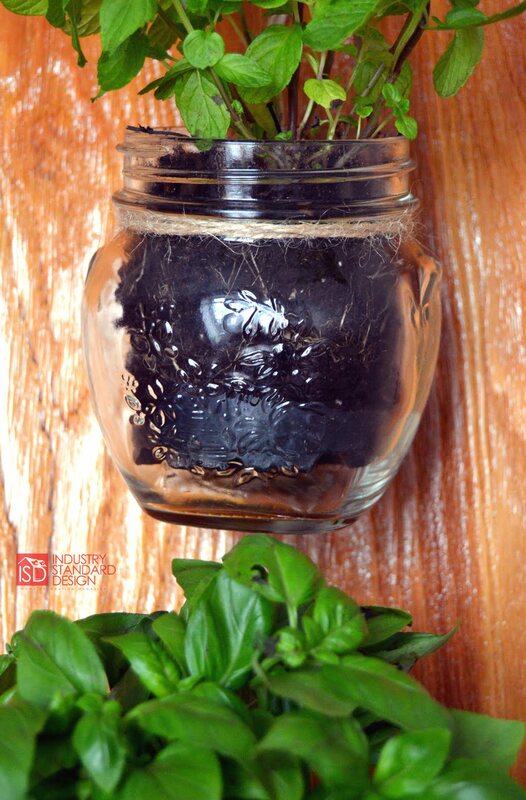 I’ve always wanted to grow my own fresh herbs at home because they just make cooking anything so much better. Fresh herbs also fill the kitchen with that delightful smell which is always welcome. 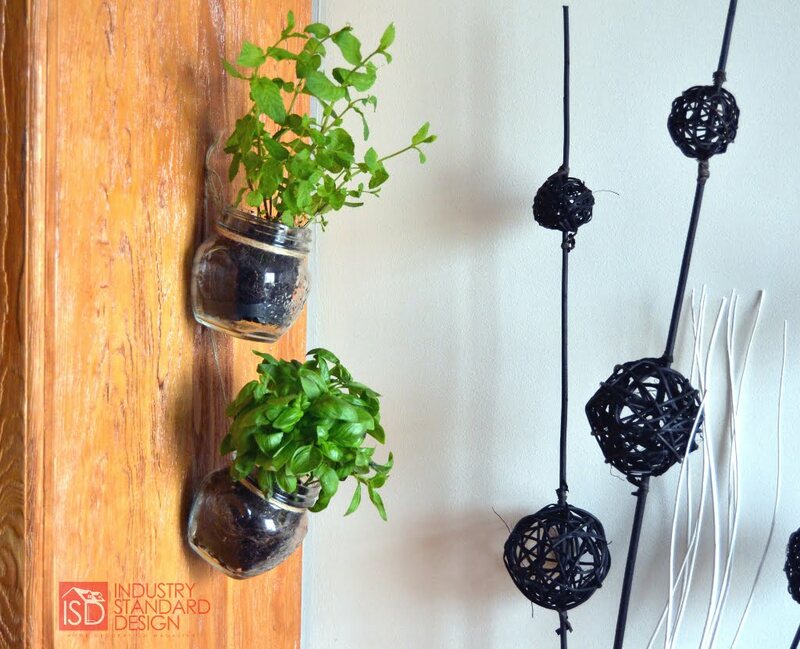 And of course, you can create beautiful herb pots attractive to turn it into a decor feature and prettify that kitchen just a little bit more. 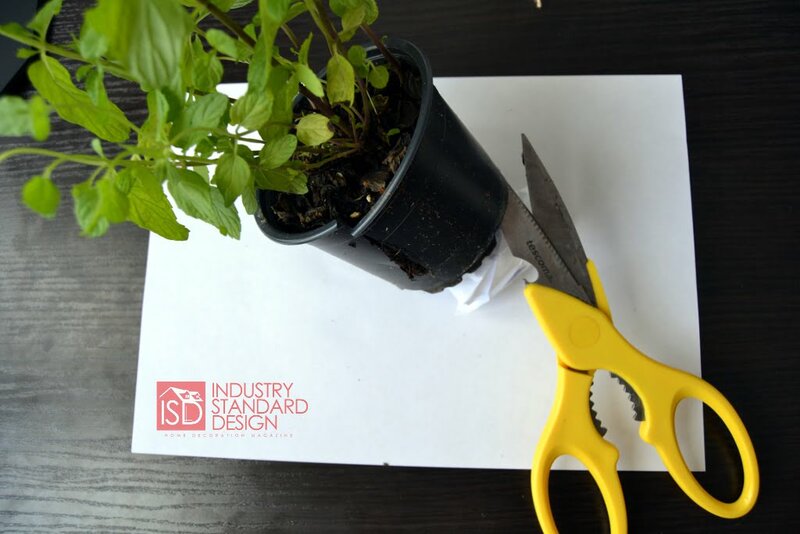 But there’s always that problem of where to put the thing, especially if it’s a small kitchen – you don’t want to waste that precious counter space, and growing a herb garden right on the kitchen counter may not be the best decor decision anyway. 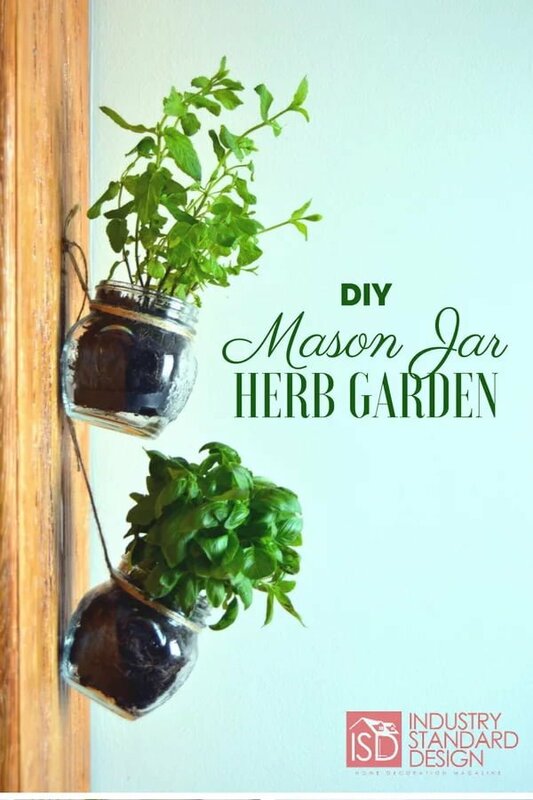 So here’s my DIY solution – a tiny hanging mason jar herb garden that can be added to the side of a cabinet. You’ll always find space for that, and it will make a beautiful decor statement. A piece of twine to hang the jars. 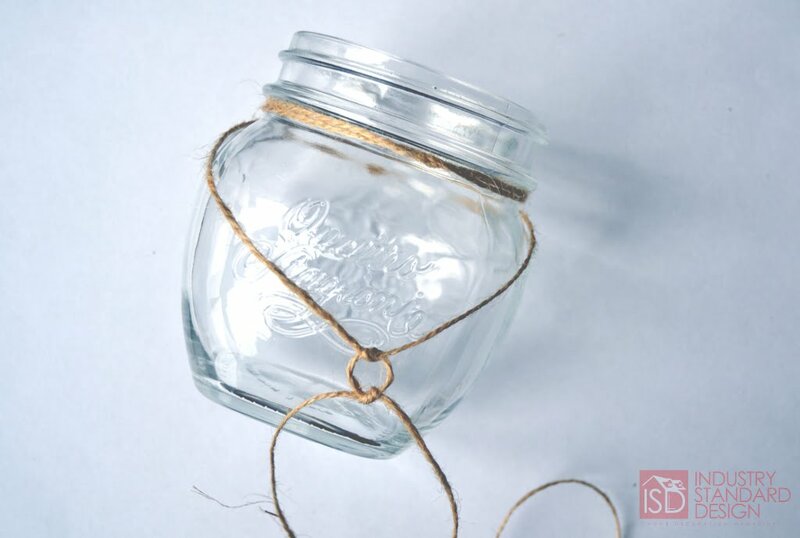 For this matter, look for jars with a higher brim to be able to tie the twine firmly. This leaves you the plant in soil with the bottom of the pot still attached. That piece of plastic will work perfectly as drainage in the jar. 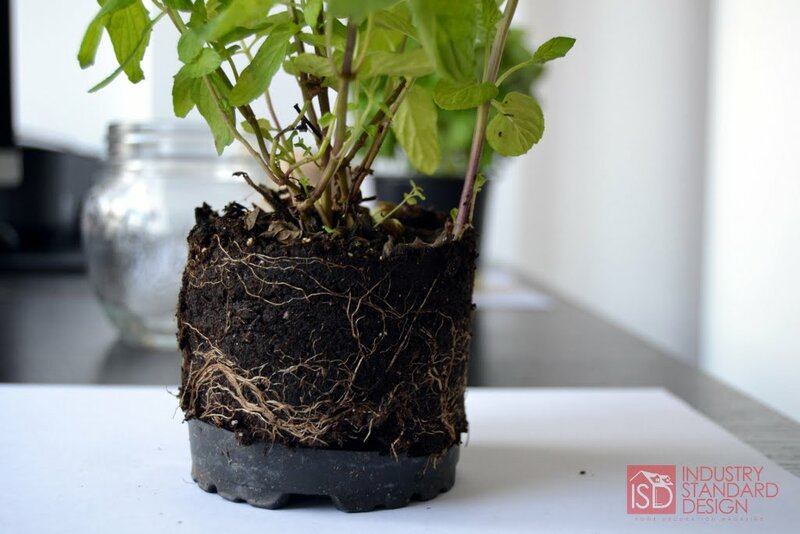 If for some reason you can’t cut the pot, or you haven’t got one, add some pebbles to the jars before adding soil – you need that drainage anyway. 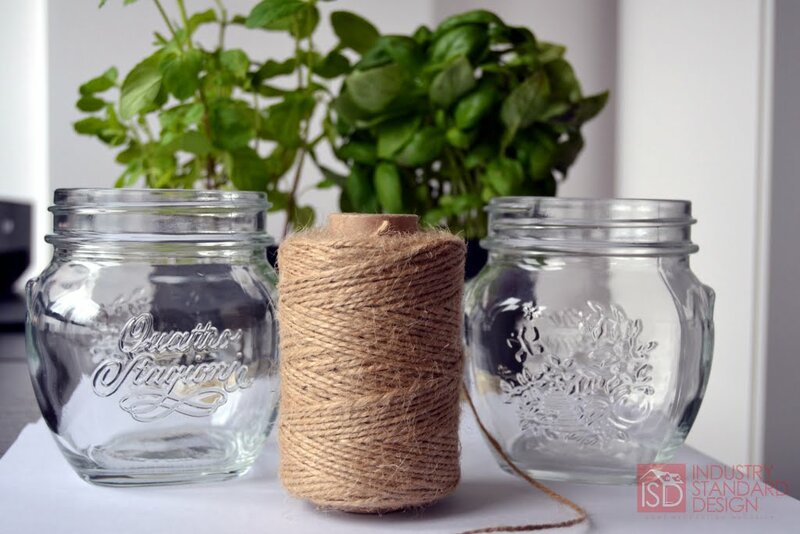 Once you’re ready, hang those jars to create your very own little herb garden. In my case, I’ve used a single nail to hang both jars on twine since I didn’t want to mess with drilling holes in my hardwood cabinet. But you can use any fixture you want as long as it can hold the weight of the jars. 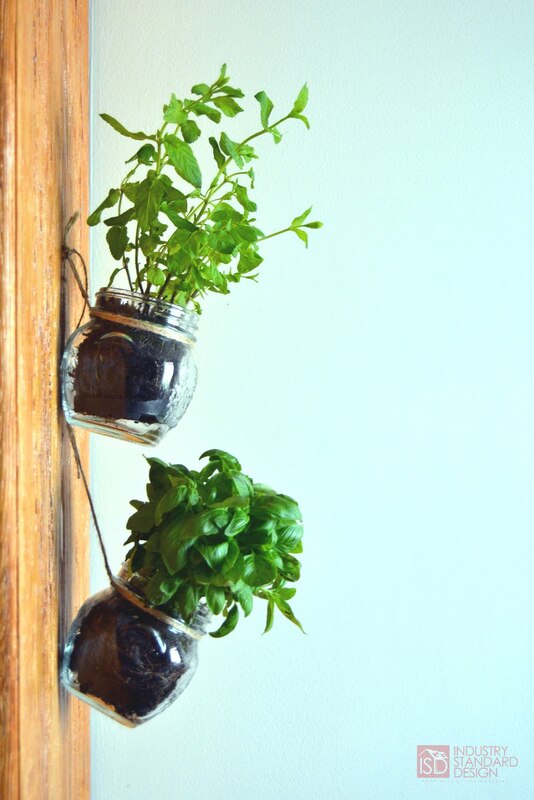 And there you have it – a simple but lovely little herb garden to improve your cooking and make your kitchen prettier. I encourage you to try this little project at home and share your experience and ideas with us.